Time of year for pruning back our olive trees. We planted them about 7 years ago, to replace some old manderine trees. They are getting really strong & sturdy now so should start producing some good olives. 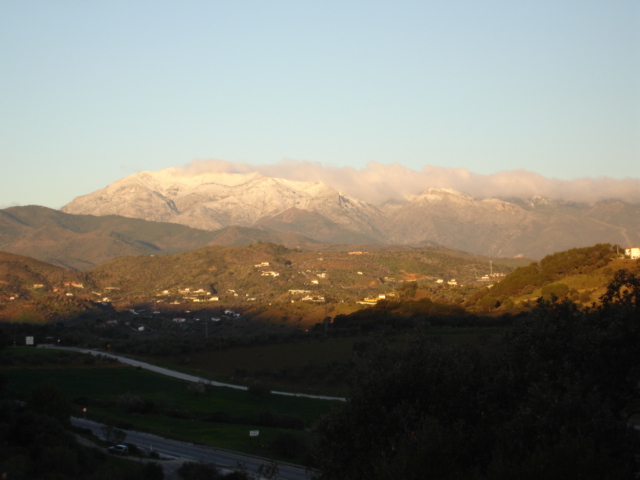 Snow on the Sierra de las Nieves in the distance so good to have the bonfire to keep us warm. Thank you for coming to our website – we hope to see you in Spain very soon and are very happy answer any questions you may have.